Gear-up for the Antiques & Interiors auction this Friday! One of the stand out features of The Antiques & Interiors Auction this week is an exciting collection of Dinky Toys and other model cars. This Friday’s auction features over 40 lots of model vehicles, comprising a wide range of British and international examples including Tri-Ang, Corgi, Lledo, Dinky, Vitesse and Bburago, to name but a few. 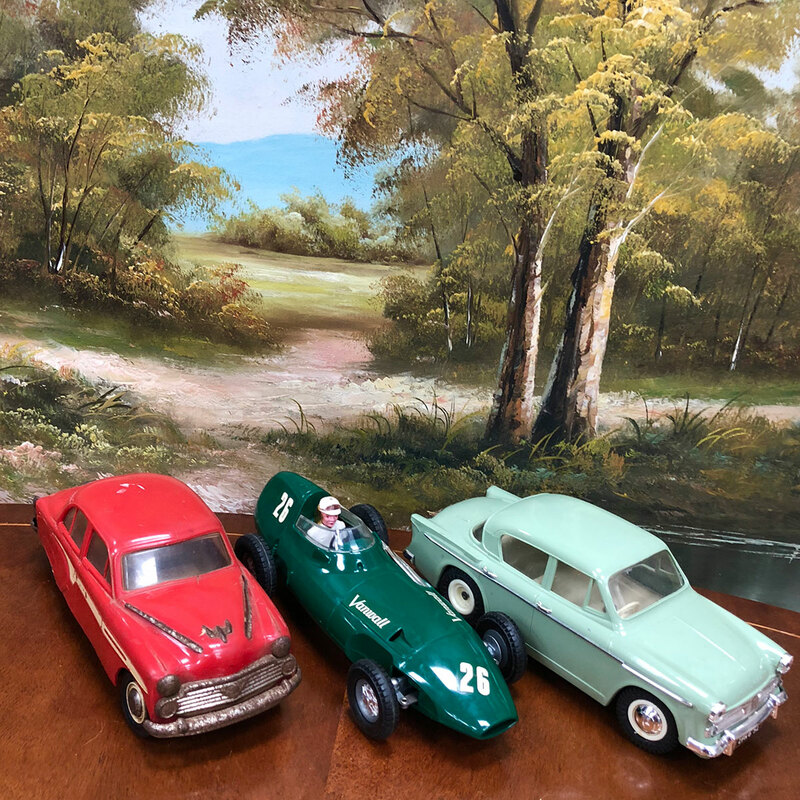 One fine example is lot 360, a lot of three Tri-Ang Minic Electric model cars, including a Vanwall, a Hillman Minx IIIA and a Ford Anglia. These brilliant model cars come along with their original boxes. Come along and view over 350 other lots today until 5pm, and from 9am until the sale starts at 10.30am tomorrow! McTear’s Café is open all day to serve breakfast and lunch, Italian coffees and speciality teas, along with soft and alcoholic drinks.